We are very happy to meet so many existing and potential at CeBIT Hannover. Let's keep in touch. 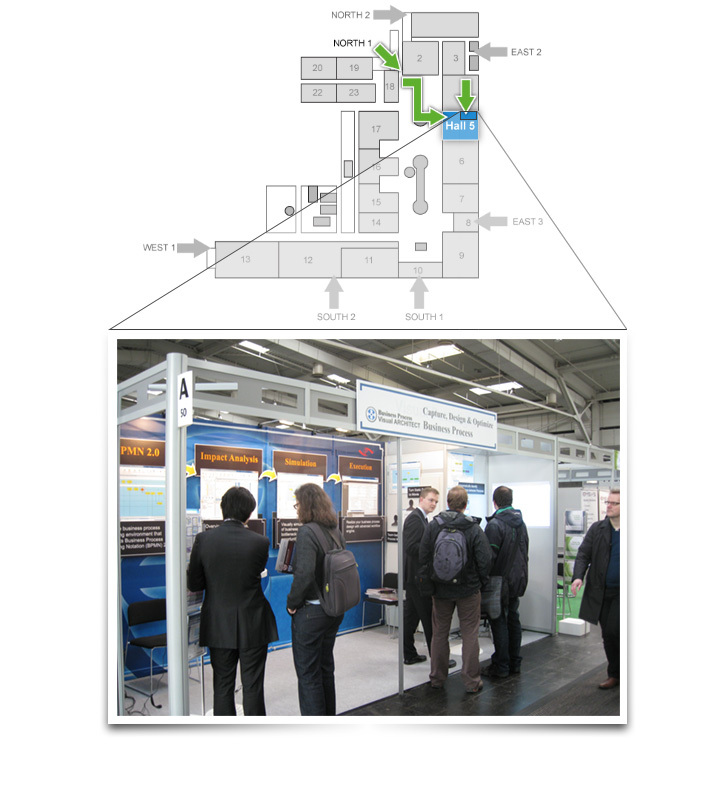 Visual Paradigm will present our software design, business process modeling and project management products at CeBIT in Hannover 1 - 5 March, 2011. Have technical issues or suggestions? Please contact Visual Paradigm Support Team. Have questions related to registration, licensing or payment? Feel free to contact Visual Paradigm Sales Team. Share your suggestions of opinions at VP Discussion Forum.